UPDATE: President Trump said from the White House that he has an excellent list of potential justices to replace Kennedy and they will begin the process "immediately." It's reportedly the same list of 25 individuals he used to choose Neil Gorsuch. Trump commended Justice Kennedy's "tremendous vision" during his years on the bench. UPDATE: Some media are hearing that Trump is ready to nominate and get a new justice confirmed before the midterms. That, ABC's Jonathan Karl notes, will be a "monumental task" because Democrats will do everything to prevent it. Supreme Court Justice Anthony Kennedy announced his retirement Wednesday. The 81-year-old justice was appointed to the Supreme Court by President Ronald Reagan in 1988. Kennedy has had a significant impact on the Court, having authored landmark rulings relating to gay rights, the death penalty and campaign finance. Having voted on both sides of the ideological spectrum, Kennedy has long been considered the Court's "swing" justice. Judicial experts have begun reacting to the news. Scott Keller, former law clerk of Supreme Court Justice Anthony Kennedy and current Solicitor General of Texas, had nothing but kind words for his old boss. Conservatives and Republican lawmakers are cheering the news because the vacancy will give President Trump an opportunity to appoint another Neil Gorsuch-like nominee. 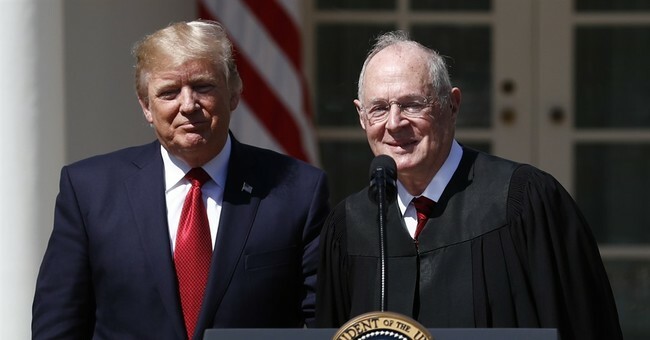 The retirement of Justice Anthony Kennedy gives President Trump the opportunity to appoint another excellent jurist — and to solidify the constitutionalist wing of the Court for a long time. Trump has been terrific in his judicial picks and this will be biggest nomination yet!